Urbaser Ltd’s household waste recycling centres (HWRCs) or community recycling centres offer the opportunity for residents to bring materials/items that are not routinely collected from the kerbside to maximise reuse and recycling and prevent them from ending up in landfill. 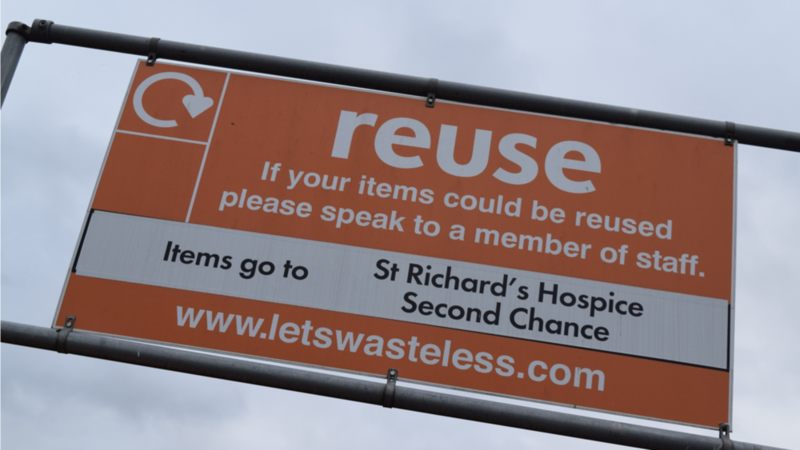 Our sites combine efficient site designs with excellent customer service and unambiguous signage to drive up recycling rates on average achieving over 73% and collecting more than 30 types of materials between them. We actively seek to encourage the reuse of suitable materials over recycling or recovery options. As such, there are reuse containers at our HWRCs for collecting furniture, soft furnishings, white goods, bicycles and bric-a-brac, which are then passed onto third sector organisations for reuse. Our 17 household recycling centres across Worcestershire and Herefordshire handle in the region of 100,000 to 120,000 tonnes per annum of mixed waste and recyclables. These are managed as part of the 25 year integrated waste management PFI contract with Worcestershire County Council and Herefordshire Council. Further information about these sites can be found on the dedicated website.